Accidents resulting in catastrophic loss need aggressive representation. The Ellis Injury Law office in Sherman Oaks gives victims more options for effective legal advocacy of the highest caliber. We are a full service law firm that handles a broad range of complex cases from our 20 California law firm locations. Sherman Oaks Personal Injury Attorney- Andrew L. Ellis Andy Ellis is one of the most successful Personal Injury Lawyers in California. Meet Mr. Ellis and find out how he helps his clients who have a personal injury case. http://ellisinjurylaw.com. We are committed to providing exceptional service to every client we represent, assuring their interests are protected from start to finish, no matter how challenging the case. If the quality of your life has been compromised through no fault of your own, you need a winning personal injury lawyer on your side. Our team offers Sherman Oaks residents our top legal experience, dedication, compassion, honesty and professionalism. Our award-winning attorneys believe that confidence is built through close working relationship with our clients, who become a part of the Ellis Law family. Contact our office at 310-641-3335 to arrange a free case evaluation. We are available to take your call any time, day or night. We recognize that no matter the situation, a personal injury can have a detrimental impact on your ability to meet the most basic needs of your family. 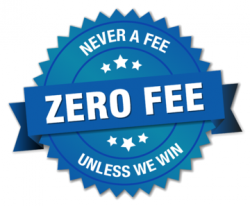 To that end, we operate on a contingency fee basis allowing clients access to California’s top-rated attorneys without financial risk. We offer prospective clients a free initial consultation. If we take on your case, we have the resources to pay all litigation, medical and trial costs out of our pocket, allowing clients to focus on their health and recovery. Our firm is comprised of skilled advocates who understand the emotional and financial tolls placed on those who are in chronic pain, unable to work or enjoy life’s simplest pleasures. When you retain our services, you will pay no upfront costs unless we obtain compensation on your behalf. There is no shortage of ways that people can suffer debilitating injuries that threaten to wreck their physical well-being and financial livelihood. Seemingly harmless activities like driving to the corner store or walking across a recently-mopped floor can change your life in an instant. No matter the cause, we partner with victims of careless drivers, deceptive manufacturers, negligent doctors, and inattentive property owners in order to seek justice. Ellis Injury Law represents clients in a wide range of matters, with the goal of achieving full and fair compensation. In bringing superior legal representation to your area, we maintain the high standards of excellence and personalized guidance that have become the hallmark of Ellis Law. We fully evaluate and investigate each claim and we aren’t afraid to take on the toughest adversaries, including local government, corporate giants, drug companies, and hospitals. Your welfare and recovery are our number one priority, which means we will fight for the settlement monies you deserve. Medical Bills and Rental Vehicle Bills Paid! Our firm is positioned to serve all your legal needs from the moment we accept your case. We have helped clients throughout the San Fernando Valley recover fair reparations from losses resulting from auto accidents, unsafe work conditions, defective products, malpractice, and other civil matters. We can ensure you get medical treatment right away, from some of the best doctors and specialists in California, with no out-of-pocket costs! Lauded by his clients and peers, founder and Senior Partner Andy Ellis is a respectedlawyer whose impressive achievements and trial wins have earned the firm top legal honors. Andy Ellis is recognized by Super Lawyers, which acknowledges the state’s top five percent of legal professionals. Our legal team has membership in the acclaimed American Board of Trial Advocates, as well as the Million and Multi-Million Dollar Advocates Forum. Ellis Law attorneys boast top-quality law school credentials and expansive experience with complex cases concerning catastrophic loss. Here at Ellis Law, we feel it is our privilege to offer sound legal representation and compassionate guidance for our clients, and throughout the greater Los Angeles metropolitan area. You can feel confident about your case when you partner with Ellis Law. We fight for the highest possible settlement and aren’t afraid to go to trial. Our attorneys have a 99% track record of success when we accept a client’s case. Andy Ellis and his fellow attorneys have procured more than $350 million for injury victims, proving their skill and dedication to client success. Throughout his prominent career, he has stood firm in his commitment to both zealous advocacy and playing fair. From defective products and auto accidents to slip and fall cases, our attorneys are prepared to help clients navigate the legal process, and fight hard for a fair recovery. Many of our clients – from local Sherman Oaks families to big corporations, have turned to Ellis Law for unrivaled advocacy. We specialize in personal injury law and have successfully litigated claims in state and federal courts. Our case results and trial victories have proven to the insurance industry that Ellis Law has the breadth of experience to advance our clients’ best interests. We work with leading medical experts in catastrophic injury claims involving amputation, spinal cord injuries, and disfiguring wounds. Throughout the years, Andy Ellis has obtained landmark results for clients who suffered life-altering injury that undermined the quality and stability of their lives. We are able to prove liability and hold negligent parties accountable by retaining industry experts, and have won complex lawsuits in which there were several defendants. Whether your accident resulted in soft tissue injures, a herniated disc, or concussion-related memory loss, Ellis Law knows how to get the maximum settlement value for your case. Crash Your Car in Sherman Oaks? Call to See How Much Your Case Is Worth! Prior case results are an important factor to consider when selecting a lawyer to represent your injury claim. While past car accident settlements and verdicts do no predict future outcomes, they do speak to the skill and experience of the law firm. Ultimately, the value of your claim will depend on the consequences of your injury. Plaintiffs who suffered spinal cord injury resulting in paralysis are likely to collect more than someone who broke their wrist. Who Can I Sue If I am Injured? A texting driver who slams into your car could be held liable for damages. A grocery store owner who fails to clean up a spill can be sued if a patron slips and falls. A building contractor may be legally responsible for failing to provide a safe work environment. During a comprehensive case evaluation and investigation, our lawyers will identify all liable parties and discuss the soundest strategies for obtaining a positive outcome. Statute of Limitations in California for Personal Injury Lawsuits? California limits the amount of time you can file a action to two years from the date the incident took place. Because of these time constraints, you are encouraged to retain legal counsel as soon as possible, so your claim is filed within the statute of limitations. California lawsuits involving government entities or agents – state, county or federal — must be filed within six months. Ellis Law attorneys work side by side with clients throughout every stage of a case, from the first consultation through settlement or trial. We are proud to serve the vibrant community of Sherman Oaks, Van Nuys and residents throughout greater Los Angeles. Ellis Law attorneys represent clients from all strata of life, from celebrities to blue collar workers. Our local law office features a prime location on Ventura Boulevard, close to Highway 405 and 101. We didn’t build a national reputation for outstanding achievements by accepting the first settlement offer. Instead, we craft solid cases based on fact and evidence with the expectation of going to trial. If you live in Sherman Oaks or the surrounding communities, Ellis Law is poised to deliver small firm attention with big-firm results. Contact Ellis Law today for a confidential consultation, with no obligation or cost. Our Sherman Oaks law firm location is on Ventura Boulevard near Sepulveda Boulevard and Sherman Oaks Galleria.